Ph.D. student, Will Thomas presented and moderated a panel at the AADHum 2018 1st National Conference, Intentionally Digital, Intentionally Black. Afrofuturism is the simple but radical concept that Black people live in the futures we envision. This paper argues that, to be meaningful, Afrofuturism must not break the chain of Black memory a second time – the industrial destruction of memory at the heart of the middle passage being the first such break. At the heart of this argument is the assertion that Afrofuturism depends upon sustainable Black memory institutions that also survive in that future. Black identity may have been forged in the industrial removal of Africans to the Americas in order to increase the concentration of wealth in Europe and create a new ruling class across the Atlantic, but Black identity perpetuates itself on the maintenance of memory. This paper theorizes a memory commons as such a sustainable institution. It defines a memory commons as shared information space wherein a community develops norms for its sustainable management. It postulates that the management of such a commons requires literacy in the protocols and objects residing in that shared space, and that such literacy is learned. The paper holds that a commons is the best such form for a serviceable Afrofuturist memory institution as it does not depend upon public state power or private corporate power to grant it the legitimacy to exist, and hence the moral or systemic failure of a state or corporation would not prove fatal to the survival of that memory. It argues that the so-called “tragedy of the commons” lacks evidence for its existence and is based on a faulty assumption about human beings that is not borne out in the lived experience of Black community life. The resiliency of the memory institution is impaired by depending on public or private state power as an anchor. Evidence for this is shown in the ample traces in the archival record of the enmeshing of such Black state power as has been achieved in emancipatory or postcolonial schemes in an international system which will destroy all around it rather than dismantle the structures which maintain it, one of which structures is the subjugation of the many for the benefit of a few. The neutrality of archival practice in the service of such structures is under challenge from both a change in methods of creating and managing records relying on open formats, protocols, and algorithms and a change of industrial organization made possible by interoperable systems and inexpensive broadband networking. 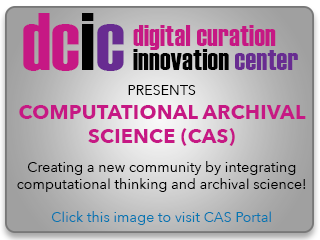 The nature of the state under the various revolutions of the past 500 years have changed archives as an institution and as practice; the contemporary change creates the opportunity to drive that change toward the memory commons model. This paper argues that such a drive can come through the bottom-up definition of a specific poetic counternarrative memory and defines how a commons can be built around it.